Josh Jones, 25, broke his left leg in two places and dislocated his knee in addition to sustaining several facial injuries. Josh Jones was treated at the scene by a doctor and three medical students who were visiting the area. 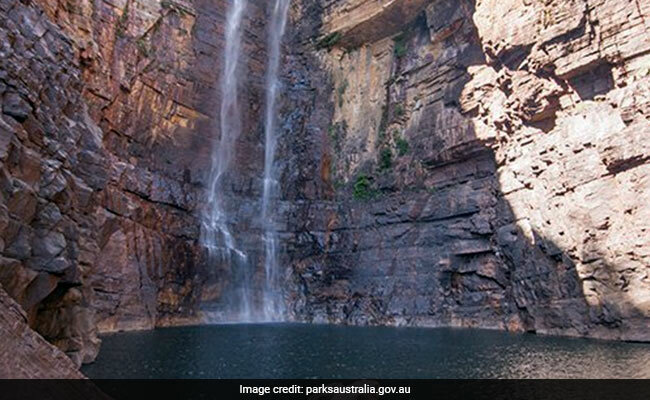 A British man has been deemed "lucky" to be alive after jumping from a waterfall in an iconic Australian national park. Josh Jones, 25, broke his left leg in two places and dislocated his knee in addition to sustaining several facial injuries, when he jumped 30 metres from a ledge at Jim Jim Falls in the Northern Territory's Kakadu National Park, reports Xinhua news agency. Jones, who was under the influence of alcohol at the time, was treated at the scene by a doctor and three medical students who were visiting the area. "I saw the ledge and thought hey, that's possible to jump off," Jones told the Australian Broadcasting Corporation (ABC) on Monday. "It was just pure impact (when I hit the water). I tried to pencil, it took the wind out of me, came up and the left leg didn't feel too good. Jones was taken to a nearby clinic before being airlifted to the Royal Darwin Hospital.